Thanksgiving is the time of year for those scrumptious pies, especially apple pie! But what if you want home-baked apple pie any time of the year without peeling six apples and having too many leftovers? Here's an easy way to make a single serving of fresh apple pie any time in minutes. 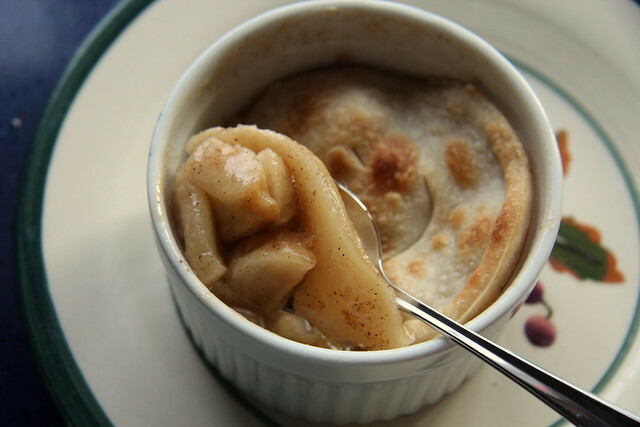 They key is to have some of the ingredients like the pie crust and sugar mixture handy for when that apple pie craving strikes. When making large pies, I always save the extra crust cut off from the edges. There are always several balls of crust kicking around my freezer. 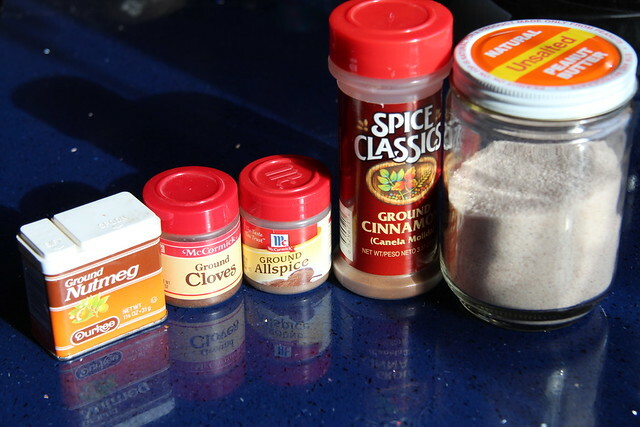 For the sugar mixture, I mix it up ahead of time and save it in a jar. First, preheat the oven to 375°F, or for a toaster oven, 350°F (you'll see why in a few pictures). 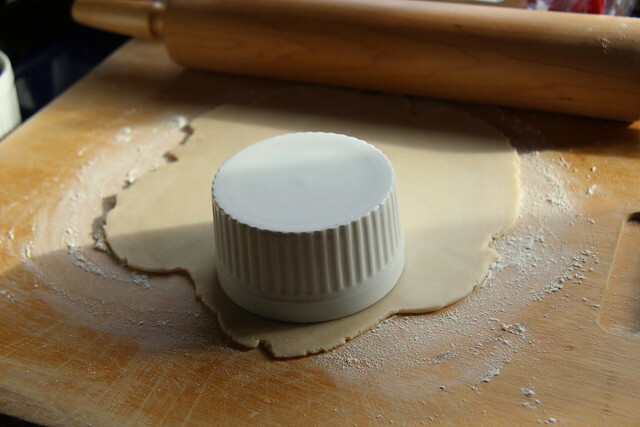 Roll out the pie crust with plenty of flour until it is about 1/8" thick. 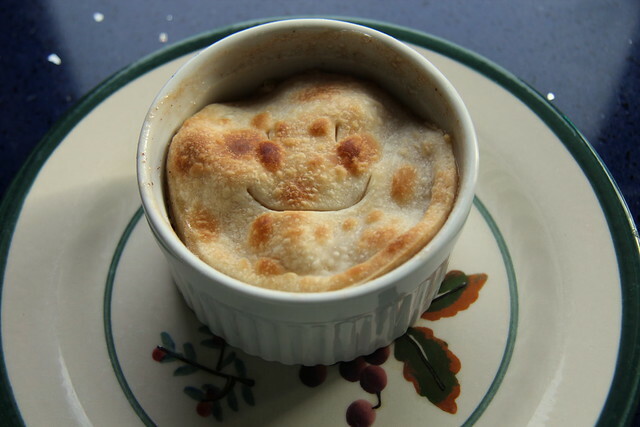 Then take a ramekin which you will use to bake your mini apple pie and cut out a round piece of crust. 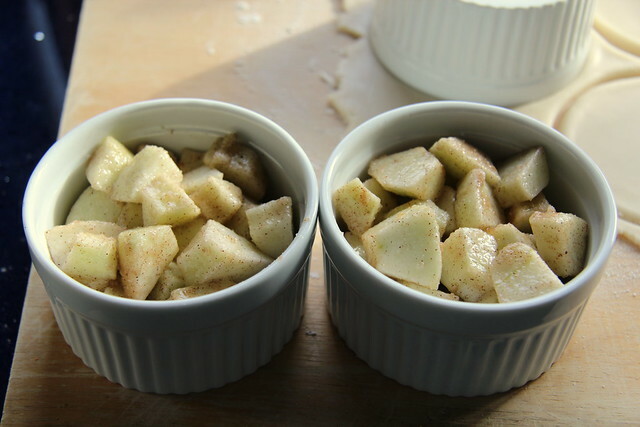 Peel and slice one apple and place it in the ramekin. Usually when making large pies, I use the wonder peeler, Starfrit Pro-Apple Peeler, but for one apple, I'll opt for an old-fashioned knife. Spoon two to three tablespoons of the sugar mixture over the apple and stir to coat. Three tablespoons is the same ratio used for a full pie, and two tablespoons is the slightly healthier but no less tasty version ;). Fit the pie crust over the apples. Yes, only one crust for each pie, makes it healthier right? 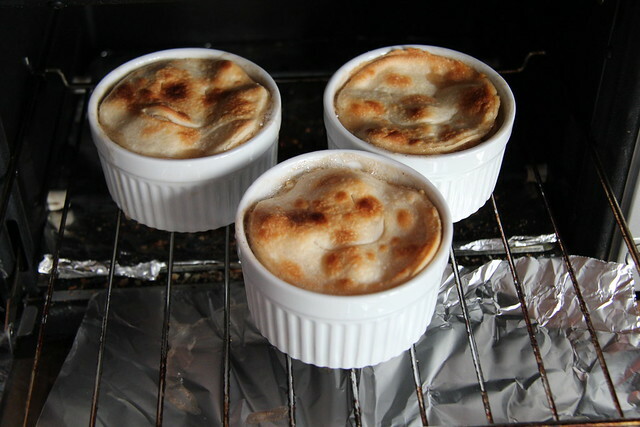 Place the pies over foil in the oven and bake for about 20 minutes (they may bubble over), or until the crust is golden brown. These were done in a toaster oven, so they are a bit extra brown. Happy Thanksgiving! 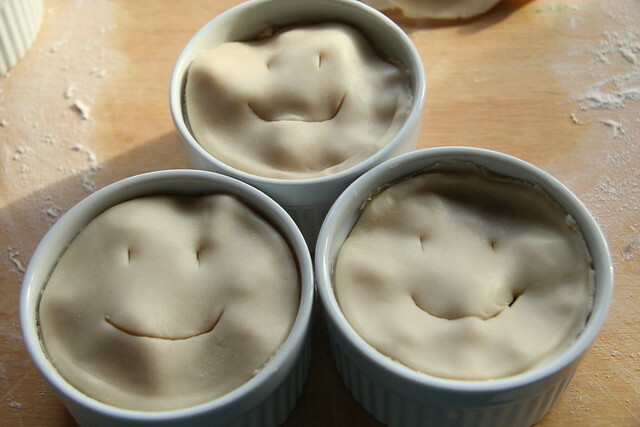 Save those pie crust pieces!